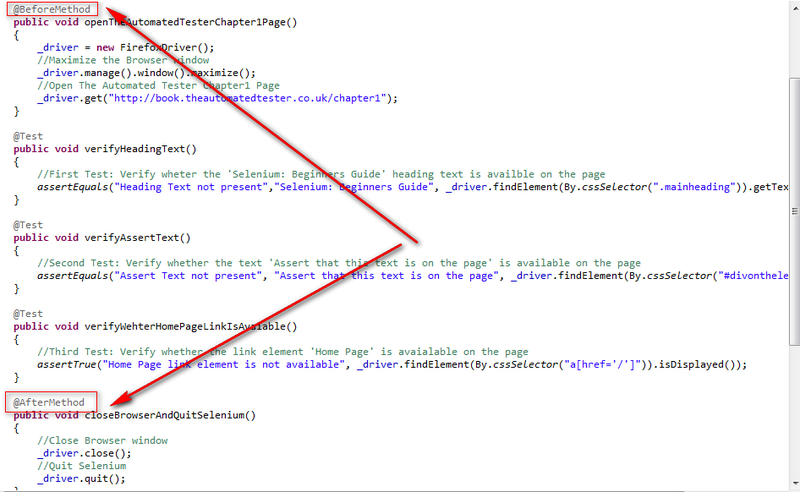 As we've already discussed the advantage of @BeforeClass over the @BeforeMethod TestNG Annotation and also the advantage of @AfterClass over the @AfterMethod TestNG annotation in our previous post. Lets implement the @BeforeClass and @AfterClass TestNG annotations. 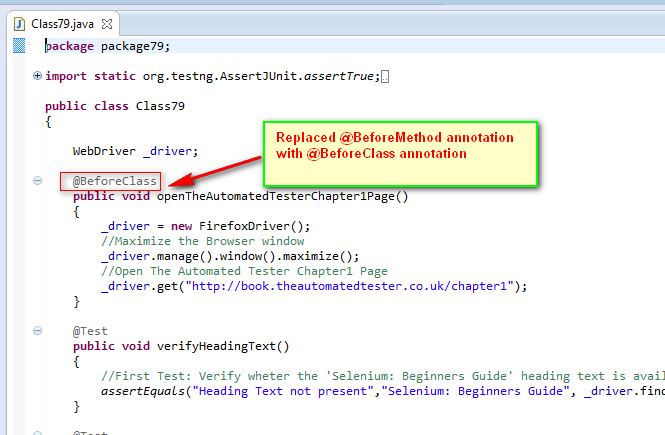 As part of Refactoring the Selenium Automation Code we've to use @BeforeClass and @AfterClass TestNG annotations instead of @BeforeMethod and @AfterMethod TestNG annotation. 5. In this case, Observe that the Firefox Browser has launched only once for performing the above three tests as shown in the below video. 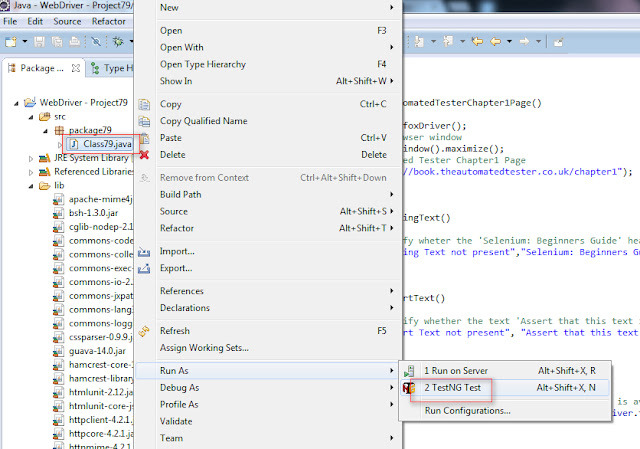 Creating testing.xml configuration file will be explained in the next post.